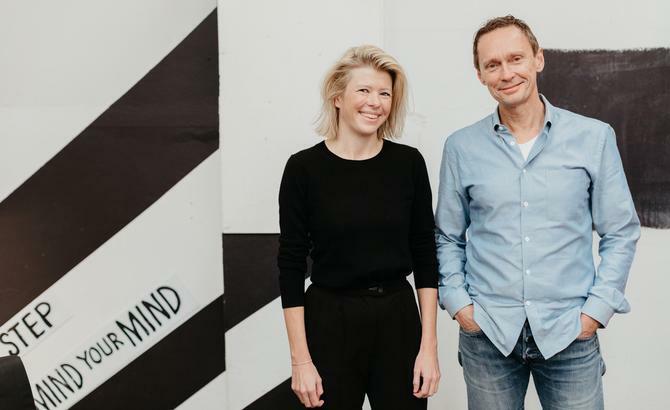 Airbnb business, marketing and operations leader, Eva Ross, has returned to Australia to become Sendle’s new chief marketing officer following co-founder and CMO, Craig Davis’ decision to step back from day-to-day operations. Ross has spent the past six years at Airbnb, most recently as its Asia-Pacific marketing operations and strategy chief. She’s also held roles in project management, digital marketing, and business operations in A/NZ and regionally and offers a wealth of experience in business and creative, as well as helping startups navigate rapid growth and scale. Speaking to CMO about his decision to step down, Davis said it was time for a fresh face to make a completely different kind of contribution that can take Sendle, an Australian-born, digitally-driven logistics startup, into unprecedented growth. Ross’ mandate is to accelerate Sendle’s trajectory of hyper-growth while keep its culture and values at the forefront of customer and partner engagement. She’s one of several heavy-hitting appointments in recent months alongside former eBay head of shipping, Apurva Chiranewala, as head of growth; and former Etsy Australia managing director, Helen Souness, onto Sendle’s board of directors. Sendle has serviced nearly $200 million in home-grown ecommerce since launching in 2014. During 2017, parcel volumes grew by 250 per cent, while the customer base has now extended by more than 200 per cent to tens of thousands of SMEs across Australia. “We’ve done a lot of foundational work and built the business pretty successfully,” Davis said. “It’s got to the stage where we need to accelerate what’s been pretty spectacular growth already by looking at new ways to really put the foot down. “I’d like to think the mark of a wise company and founder is reaching the view that there is someone out there better equipped for the next phase of growth of the business. That is certainly the realisation I came to. Ross said she was attracted both to the idea of returning to Australia, as well as assisting local SMEs grow their footprint and chances of commercial success. “It’s such a fun time for small businesses. The time is ripe for so many to start realising their dreams; we’re seeing more and more quit the corporate jobs they’ve had for 20 years as a result of not necessarily feeling the support in the job they thought they had, and striking out to create opportunities for themselves,” she commented. “In addition, the way ecommerce has evolved means it’s more possible for more people. What Sendle does is provide all the things bigger businesses are able to access, such as competitive rates and a quality of service, to small businesses so once they’re in the marketplace, no one can tell how big they are. That’s incredible. Commenting on her career to date, Ross noted her six years with Airbnb were at time when the value of the business increased 10-fold and her job title changed 10 times. She suggested this made it one of the most exciting places to work in recent years. “Growing a community of micro-entrepreneurs at Airbnb equipped me with an understanding of the challenges small businesses face and the support they need to carry out industry changing work,” she said. “I learnt through that process the importance of being mission driven, culture, and looking at employees as whole people and their career not just from the beginning and while they’re with your company, but also where they end up going to. All of those learnings made my search for my next step very clear in terms of the values I wanted that organisation to have. Ross identified two key priorities coming in as CMO. The first is to build off the back of Sendle’s growing array of partnerships. This list includes brands such as NRMA, NAB, Virgin’s Velocity program and Etsy. “The team has done some great building work in partnerships, I want to make sure that works harder and harder for us,” Ross said. The second focus is building the brand strategy as the champion of small business owners. Sendle launched its first-ever brand campaign in market in May. “We’ve only started the real brand groundwork, and I want to see how that develops and how we maintain the human elements of realities of being a small business owners, and show how we provide support for people in that area,” she said. For his part, Chin Moody highlighted Ross’ entrepreneurial spirit, and deep knowledge of domestic and international markets would be invaluable as Sendle continues to expand locally and abroad. Meanwhile, while Davis is stepping back from day-to-day duties at Sendle, he remains a “financial and emotional” stakeholder in the business, close advisor and evangelist. His focus now is on delivering more corporate training around mindfulness and resilient leadership, an area of interest he’s been exploring for more than eight years and which he is accredited to teach in via a global leadership Google program. The immediate next step is running a joint founder’s workshop in partnership with KPMG’s High Growth Ventures division in August looking at ways founders can improve their chances of success through mindfulness and culture considerations. “It’s work that’s so important in businesses in general, and in startups and early-stage businesses in particular,” Davis said. “That founders’ workshop is all about equipping founders and helping them deal with very real issues. For example, there are high instances of depression and anxiety among founder, unresolved conflict that often leads to splits between co-founders and dissolution of businesses. And about one-third of the time, founders will cite mental health as a key reason for failure. As for his work with Sendle to date, Davis highlighted two key achievements during this tenure. The first was the evolution of the marketing model. Davis’ second major achievement is the culture Sendle has built internally over the last four years, which he attributed as key to its ability to attract great people such as Ross.